Surveys have shown that 95% of text messages sent are read within just a few minutes of receipt while about 30% of consumers with mobile phones interact with brands via text messages. As marketing continues to become a highly dynamic area for many businesses, whether startups or established, innovative promotional strategies continue to prove to be suitable for the modern business environment in which competition only grows stiffer. 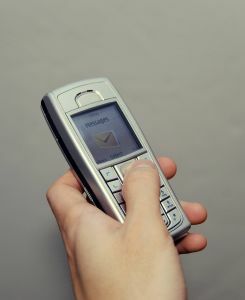 Text messaging was originally intended for normal communication, but today, it has emerged as one of the most effective marketing techniques. Is it really the marketing option with a future? The mobile market grows larger by the day, with over 7 billion mobile phone subscriptions worldwide (according to statistics by the International Telecommunication Union). This presents a tremendous amount of opportunity to marketers looking for new avenues of connecting with this ever growing list of mobile phone subscribers. Geo location and mobile tagging have come up to help discern the behavior of the mobile consumer in order to deliver more relevant marketing content to them. By the end of 2012, about 1.08 billion of the mobile phones that were in use were smartphones. About 3.05 million of these devices were SMS-enabled. The number, no doubt, has leaped significantly since then. Simple observations indicate that the way in which people use mobile phones (especially smartphones) continues to open up new possibilities. Today, there are millions of apps on various app stores. These range from those that can turn a simple smartphone into a ruler to those that will turn the devices into advertisement boards. Finding out just how much people have come to rely on their phones is amazing in and of itself. According to a July 2012 study by Pew Internet and American Life Project, about 86% of mobile internet users use their mobile devices while watching TV. Long gone are the days when coupons could only be found in printed newspapers. Today, text message marketing has made coupons and coupon codes to be taken by storm among all ranges of consumers with access to mobile phones. Taco Bell ran a campaign of its own dubbed RefreshIt that ended up proving that consumers can be hooked to a brand even while on the move, thanks to the use of text message subscriptions to access coupon codes on various products and service promotions. The aim of marketing is to expose existing and prospective customers to your product, cause or service. Text message marketing presents an opportunity to keep customers engaged to a brand they like without having them tethered, a practice that has proven to swell sales for many companies. Email marketing, television commercials and many other traditional and semi-traditional marketing techniques are still popular, but their future cannot be compared to that of text message marketing… especially with projections showing that mobile internet usage is expected to overtake desktop internet usage by 2014. Successful Marketing 101: Do you believe Social Media Marketing is Effective?Aggressive Marketing: Effective or Not?